In search of money and freedom from the American justice system, criminals from the United States moved to Eastern Europe, where the laws were replaced by the crime after the collapse of the Communist system. Many of them chose Prague as their hideout, where crime lords were willing to pay a suitable sum of money to assassins in order to eliminate their rivals. One such assassin, Ray Carver ( <a href='/name/nm0000421/'>Cuba Gooding Jr.</a>), works for two rival gangs as their main killer. 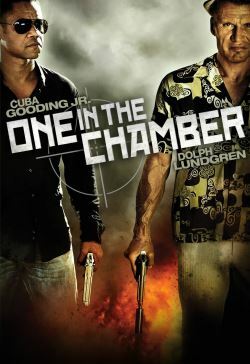 When Ray attempts to murder a Chechen drug lord, he is being pursued by the mobsters. Meanwhile, Suverov mafia hires Alexey 'The Wolf' Andreev ( <a href='/name/nm0000185/'>Dolph Lundgren</a>), an assassin from Russia who is rumored to be not existent. This is when the real gang war starts.